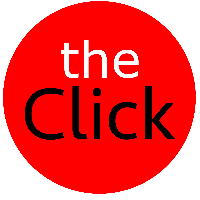 The Click – Page 1168 – Photojournalism, Photography, Art, Culture. The Best Links, The Coolest Stories. Gallery of winning images from the most prestigious photojournalism competition in the world. A must-see. Pancake Mountain coming to DVD – children’s show featuring appearances by Henry Rollins, Anti-Flag, etc. 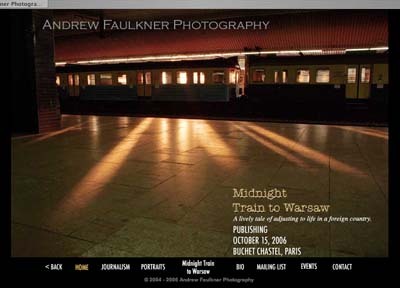 Though it won’t be published for another eight months, you’ve got to check out the preview to photographer Andrew Faulkner’s book, Midnight Train to Warsaw. History of cookie-monster death metal vocals, from the Wall Street Journal? Links now open in current window. It only took me twenty minutes to find the solution, but it looks like links to entries and comments are now working. Wish this wordpress stuff was easier to fix. Not like I’m an idiot on these computers, you know? I know the blog is mostly busted. That’s why only a couple of you even know about it right now. I’m working on it.